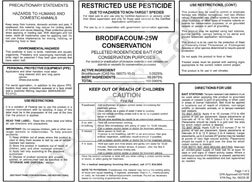 Above is the actual safety information listed on the "Brodifacoum-25 Conservation" label (click for a larger version PDF). As a National Wildlife Refuge it would be catastrophic to dump Brodifacoum on these islands! The rodenticide is highly toxic and remains in the environment for a long time. The Comment Period has been extended an additional 45 days! 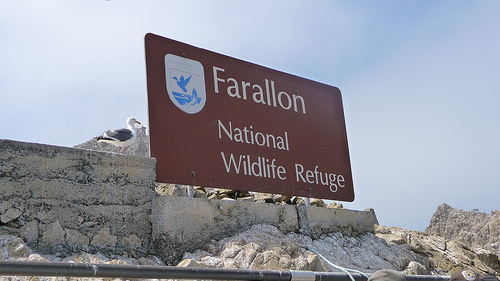 Please sign our petition now and add your comments against the proposal to dump thousands of pounds of toxic rat poison on the Farallon Islands to eliminate non-native house mice. The new deadline is December 9, 2013. The United States Department of the Interior’s Fish and Wildlife Service (USFWS) first proposed the "South Farallon Islands Non Native Mouse Eradication Project" in 2011 to eliminate a population overgrowth of non-native house mice (Mus musculus), probably first introduced to the islands in the 1800s. The proposal is to air-drop pounds of toxic rodenticide pellets on the Farallon Islands to eradicate the non-native mice reported to endanger other species. WildCare strongly opposes this action! Click to sign our petition! 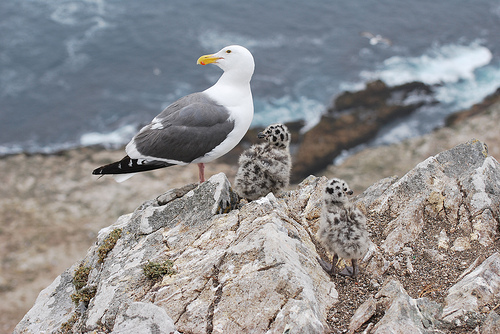 The Project (quoting the scoping document from USFWS) proposed to "help protect and restore the ecosystem of the South Farallon Islands, particularly seabirds and other native biological resources, by eradicating non-native house mice (Mus musculus) and preventing their future reintroduction." To this end, the Service proposed three action alternatives which they said "will provide a high likelihood of success based on similar projects elsewhere while minimizing incidental impacts to other resources." - Alternative C: Phased aerial broadcast of "Brodifacoum-25 Conservation" as the primary technique. In this alternative, different islands would be treated at different times ranging from days to weeks apart. When, with WildCare's support, outrage against the proposal to blanket the islands with rodenticide reached its peak, USFWS backed off from their proposal and promised to complete the EIR before further action was taken. Unfortunately, the report finally came back with only two alternatives given— to dump rodenticide all over the islands, or to do nothing about the mouse infestation. 2. Brodifacoum is toxic to birds, mammals and aquatic life (this is according to the product label, read it here) and is an extremely dangerous and persistent environmental poison. In fact, the EPA is banning the sale of rodenticides containing brodifacoum to consumers because of its toxity and the dangers to non-target wildlife. 3. Non-target predator animals will consume the rodents that have eaten the pellets and be poisoned too. "Some nontarget mortality was expected, but the actual mortality exceeded the predicted mortality. Forty six Bald Eagles died (exceeding the known population of 22 Bald Eagles on the island); toxicological analysis revealed lethal levels of brodifacoum in 12 of the sixteen carcasses tested." Over the past several years, WildCare has tested nearly 250 predator patients in our Wildlife Hospital for exposure to rodenticides from having eaten poisoned rodents. A shocking 68.7% of tested patients test positive, and many of these patients die from their exposure. Our research demonstrates conclusively that non-target animals can and do die from eating rodents that have eaten poison. These toxins are persistent in the environment and deadly; they should not be used in massive quantities in national wildlife refuges. 4. Non-target species will consume the pellets. The document "Critical Evaluation of Nontarget Mortality" further demonstrates that, while most poisoning of non-target animals resulted from predation upon bait-poisoned rodents, gulls and other animals were found to have also consumed the pellets and to have died from primary poisoning from Brodifacoum. 5. Rodenticide dispersal WON'T WORK! There is no way to ensure complete eradication of the targeted mice. 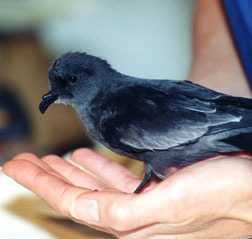 Only a few breeding pairs would be required to repopulate the islands. The scoping document says this plan will also prevent the rodents' reintroduction... how is that possible? 6. The mice aren't themselves the primary danger to the seabirds that nest on the island. 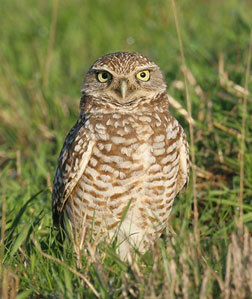 The large numbers of mice on the islands have attracted several non-resident predators, including a population of Burrowing Owls, a threatened species on the mainland. 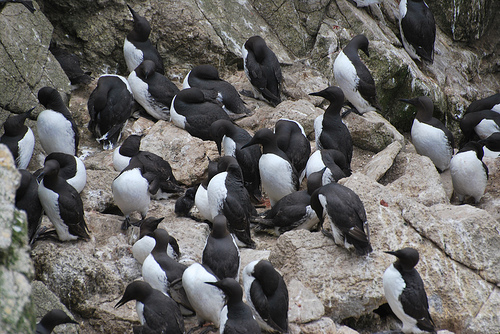 Annual cycles cause the mouse populations to rise and fall, and when mouse populations plummet, the seabird nestlings become the prey of these raptors. Hundreds of Ashy Storm Petrel babies are consumed by opportunistic Burrowing Owls, but should the entire ecosystem be blanketed in toxic rat poison to prevent this? Surely there is another way! In WildCare's Wildlife Hospital, dozens of animals each year die from pesticide poisoning. Our current initiative to test every predator animal admitted to the hospital for rodenticide levels will likely show varying levels of rodenticide residue in hundreds more patients. Read more about WildCare's work to combat rodenticides here. The majority of poisoned patients, however, are not the targeted pests like rodents; they are instead the predators that eat the poisoned rodents. This is called secondary poisoning, and is a harsh reality of pest eradication programs such as this one. USFWS claims the "conservation" variety of the second-generation anti-coagulant rodenticide Brodifacoum is less harmful to non-target species (i.e. every animal on the islands other than the mice). WildCare's experience and information show this to be untrue-- Brodifacoum is one of the most toxic, dangerous and persistent rodenticides available, and the amount of active ingredient in the "Conservation" variety differs only slightly from that in the full-strength product. Click to read the actual safety label information from the product in question. 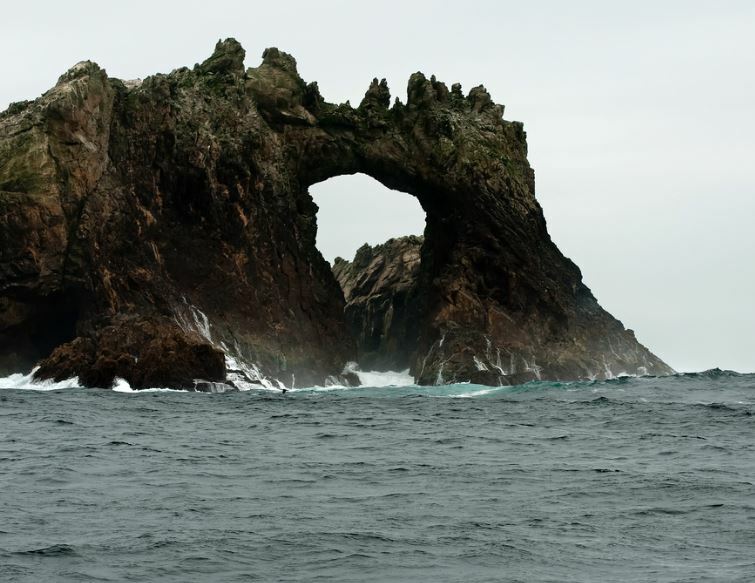 Arguments in favor of this proposal overwhelmingly focus on the necessity to protect the many endangered and threatened species that live and breed on the Farallones. It is WildCare's position that, if control of House Mouse populations is necessary, responsible, non-toxic and environmentally sustainable approaches must be used. 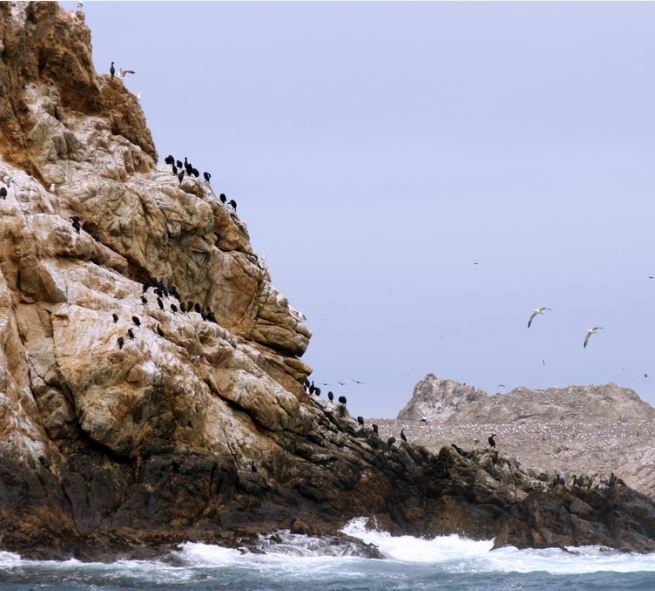 The aerial broadcasting of toxic rodenticide pellets over the entire landmass of the Farallon Islands does not fit this criteria and should not even be considered in the eradication proposal. Join or stay on WildCare's email list to learn more about the progress of the proposal. We'll let you know next steps to prevent the proposal from becoming reality. Spread the word! Link to this page on Facebook and share the information with friends! We cannot allow this highly irresponsible approach to nuisance wildlife control move forward!